Does Flickering/Bouncing the other side of a Double sided Card Bring it back to the front or back? Seems a bit high on lands since the curve is quite low and Path of Mettle Flip also turns into a land. I'd cut the guildgates. Settle the Wreckage doesn't fit the theme well, you might be better off just running an extra creature instead. That would depend on what way you want to go. You could go more human route since most of your creatures are humans. If that is the case i would remove Earthshaker Khenra I previously suggested for Champion of the Parish or Non Human Goblin Guide would fit in here pretty well possibly in the angel spot to make it just more agro early turn. 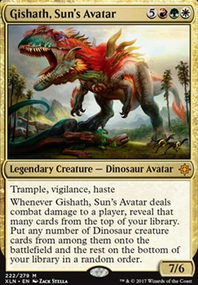 Another good card to try to fit is Glory-Bound Initiate it can work as a good beater if needed in the Earthshaker Khenra it might be better but that would require testing. 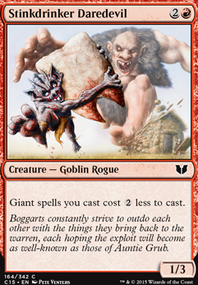 Personally I am not a fan of Cartouche of Solidarity as turn 1-3 that mana could be used for a creature. 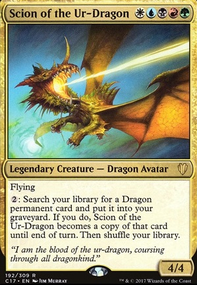 You could also go lighter on the spells, and include Thalia, Guardian of Thraben which screws over a lot of decks that are heavy on spells. Chained to the Rocks Could a be decent card if you have mountains consistently and face a lot of creature decks. As for side Rest in Peace, and Stony Silence is good. If there is budget restrictions maybe can work on a more budget side. 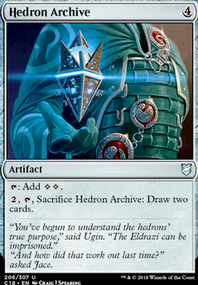 Tormod's Crypt, or Relic of Progenitus are both really good also and possibly better in budget. Abrade is also good side budget. Tocatli Honor Guard actually hurts a few of your creatures so you might want to take it out or move it to the sideboard. I'd also replace your Siege-Gang Commander with another Kwende. Path of Mettle Flip would be a pretty fun addition to this deck. Knight of Grace or Sunhome Stalwart would be nice two drops to replace some of your utility creatures if you'd prefer to keep those in the sideboard. Heroic Reinforcements is a card I've been considering for a while. 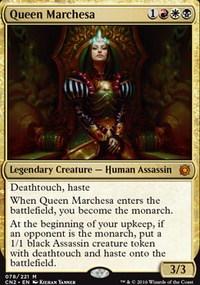 It can instantly trigger Path of Mettle Flip without other creatures on board, but otherwise seems a bit mediocre. I'm trying it as a 1-of for now, but might consider upping the count if you think it's worthwhile. I'm using a combo w/ Path of Mettle Flip + Felidar Guardian. Does this work when the opposite side is present, or not? Thanks again! Wow, so this is a lot more feedback than I was expecting! I'll try my best to process all of it. So I've been playing MTG Arena quite a bit and I run a similar version of this deck on it, only with a few exclusions. I've been able to test a good bit of it against people and found that certain cards like Risk Factor don't work too well. 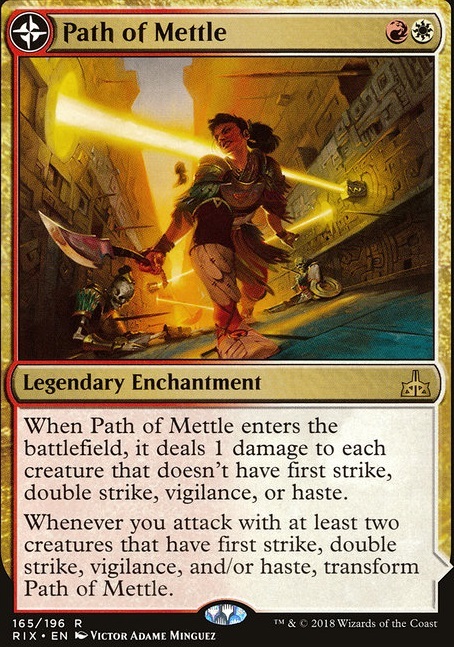 However, Path of Mettle Flip has been doing serious work against control and token decks. Many times my one drops get buffed by Mentor out of range, so it's a safer option. 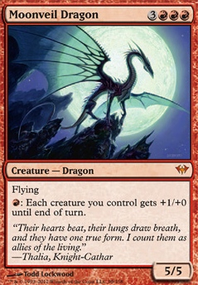 I also learned Fanatical Firebrand is pretty awesome due to its ability to ping off Llanowar Elves and other vital 1-toughness creatures, as well as trigger Path. Seal Away has also been good, but I agree that Justice Strike would be even better. Response / Resurgence at that point I'm on the fence about since I almost never cast the second half, while Lightning Strike gives a good deal of reach. Lyra would be really good sideboard if I ever get my hands on some copies, so I'll definitely keep a look out. That might not happen in the near future but it's still a good idea. 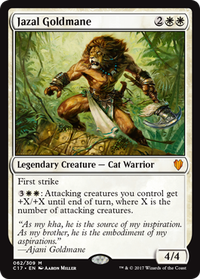 Shalai has also been doing work against control decks, so I'll certainly get some copies. The Summoner is certainly an option, might take out a few heavy cards and make that my late game, but I haven't decided yet. Other than that I think removing 2 creatures for some Shock would do the deck some justice, especially with First Strike shenanigans. Thank y'all for the suggestions! Lemmie know what you think!